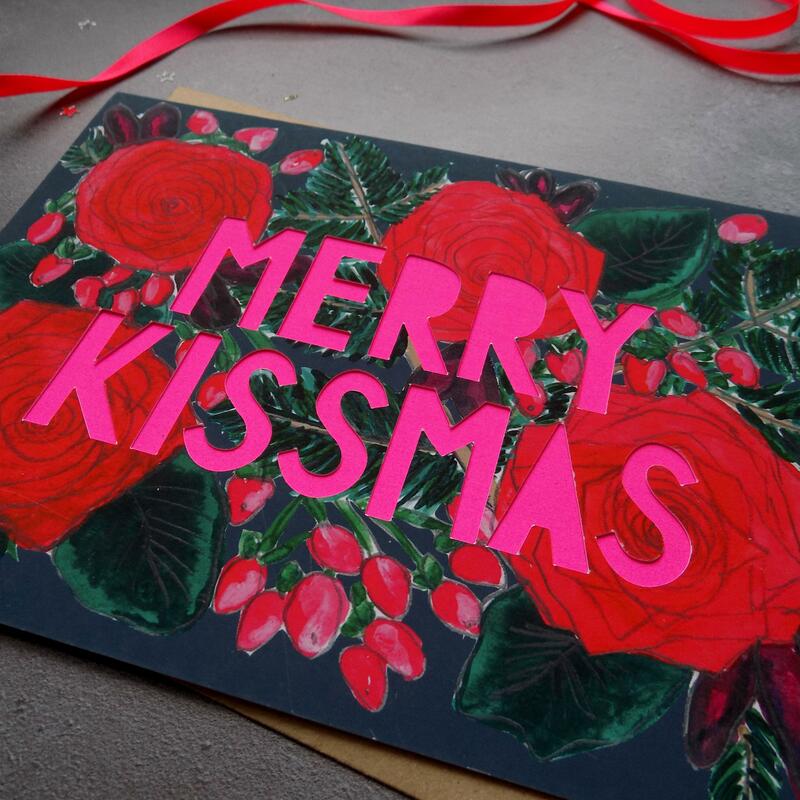 Send a 'Merry Kissmas' to your beau with this papercut card from my Neon Floral Christmas collection. 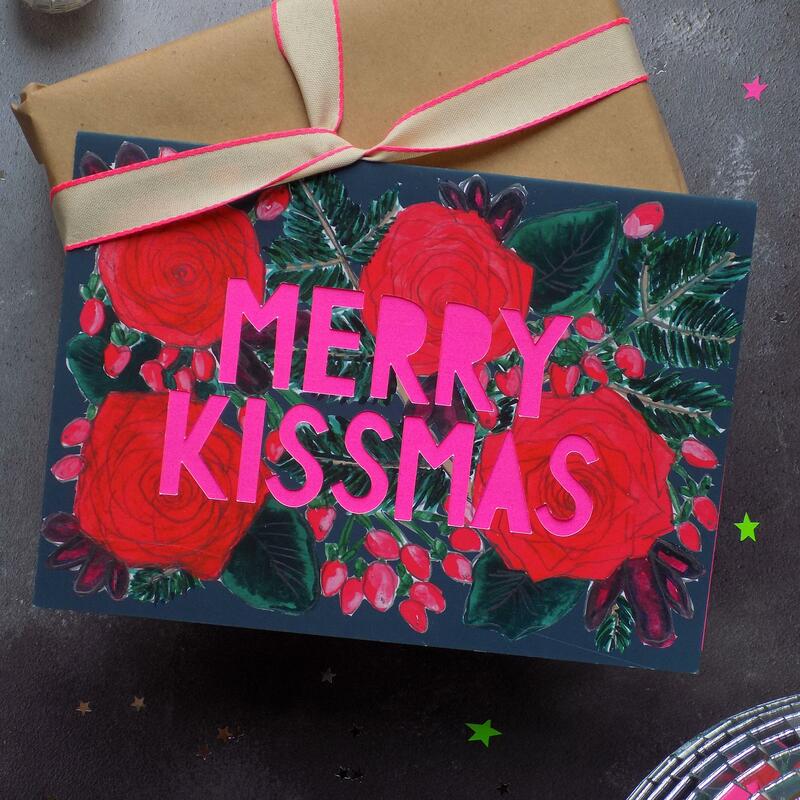 Printed onto thick card using my original watercolour illustrations with diecut typography backed with bright pink neon backing paper. Keep forever to bring out year after year and possibly even frame! This card is A5 in size, is printed on thick 300 gsm card and comes with a kraft envelope. Estimated Delivery of 10-15 working days.